This April 20, 2017, file photo shows actor Rob Delaney in Hollywood, California. Delaney revealed that his 2-year-old son Henry died in January. 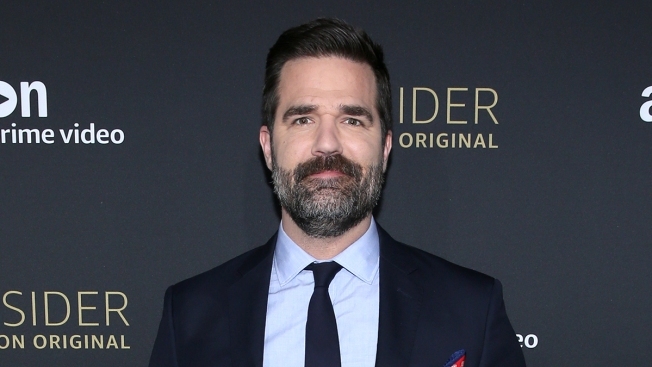 "Catastrophe" star and co-creator Rob Delaney says his young son has died from cancer. He memorializes the boy as "smart, funny, and mischievous" in a Facebook post. Delaney says Henry Delaney was diagnosed with a brain tumor in 2016. After surgery to remove the tumor and treatment early last year, the cancer returned in the fall, and Henry died in January. He was 2½. Though left with "significant physical disabilities," Henry learned sign language and shuffling from place to place "on his beautiful little bum." His father says that "his drive to live and to love and to connect was profound." Delaney lives in London with his wife and two other children. He created the modern rom-com "Catastrophe" with his co-star, Sharon Horgan.